I’m admittedly too late for the ‘Top 3 Christmas Movies to get you in the Holiday spirit’ post. However, I realised, there’s no reason why the gift that is the wealth of holiday Christmas movies can’t keep on giving throughout December and into January. These three are my favourite films set at Christmas time, but they’ve also been chosen because they’re each a valuable contribution to another genre- be it comedy, romance, or action. So whether you’d rather spend your holidays menacing robbers, performing at school Christmas concerts, or killing terrorists at Nakatomi plaza, I’ve got the film for you. Home Alone, and Home Alone 2: Lost in New York are both Christmas favourites for the whole family (do not mention the other sequels). In the original, Macaulay Culkin is the charming youngest child in a family so big and chaotic, they manage to forget to bring him on Christmas vacation. When two bumbling burglars try to rob the house, he alone must stop them, employing an imaginative range of booby traps with slapstick humour consequences. What follows is a fun balance of jokes and heart, reminding us all of the importance of family and the true meaning of Christmas. The interlocking ‘hyperlink film’ style which makes Love Actually such an entertaining story has often been emulated to decreasing degrees of success ( New Year’s Eve, Valentine’s Day, Mother’s Day… just stop trying, America). Set in the lead up to Christmas in England, an all-star ensemble cast make up friends, families and strangers all connected in some way. These many narratives play out simultaneously as everyone is searching for something different- a wife trying to reconnect with her cheating husband, a tween declaring his love for his first crush, a lonely rock star finding meaning in his life. Written by the Richard Curtis, the man behind Notting Hill, Bridget Jones’ Diary, Bean and The Boat that Rocked, it’s a witty script with an excellent finale sequence. Realistic representations of love are, for the most part, ignored. But if we can ignore that creepy romance narrative strand between Knightley and Lincoln, Love Actually is a funny, charming Christmas movie about what joins us together- love. This gripping holiday classic has everything you need in a Christmas film- someone on the naughty list (Alan Rickman’s nefarious mastermind Hans Gruber), someone on the nice list (Sgt. Al Powell) and someone in between- the great John McClane himself. When terrorists take over Nakatomi plaza with a Christmas party full of hostages, it’s up to rogue NYPD cop John McClane to save the day. 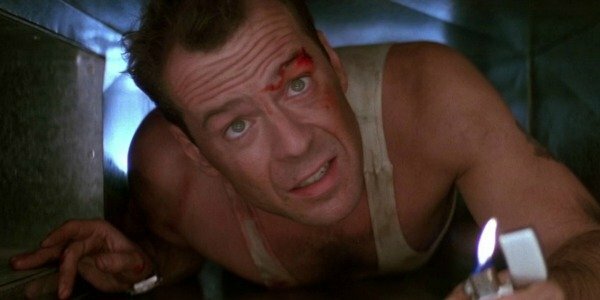 Bruce Willis is in his element as smack talking action man, and his performance- complemented by cocky one-liners and explosive stunts- gives Die Hard its gritty charm. If you prefer gunslinging and explosions to Christmas carols around the tree, this is the film for you. So that’s my list! What are your favourite Christmas movies that you would add? Christmas is all around me! I love Love Actually! Good stuff. Die Hard is most certainly my favourite Christmas film. Though surely Gremlins also deserves a mention? I makesure to watch that every Christmas. I have never seen this! Will have to add it to the list. My daughter loves The Polar Express, and so do I. She just watched The Santa Clause with Tim Allen, and we loved that, too. A reflection of my age, I guess. I presume National Vancoon’s Christmas Vacation? I haven’t seen that in years. And i do like The Grinch but it’s not in my top 3. Creepy indeed. Come on, Andrew. You can’t talk to a woman because she’s hot? At all? The Laura Kinney storyline annoys me. They couldn’t give her some redemption after she took the guy home and got cuckolded by her brother? When they saw each other at work? No mention of getting together again? i read an interesting article about how it isn’t really a romantic movie on the basis that love is often just based on physical attraction and if there is a complication (eg Laura Linney storyline), it’s best to just give up. 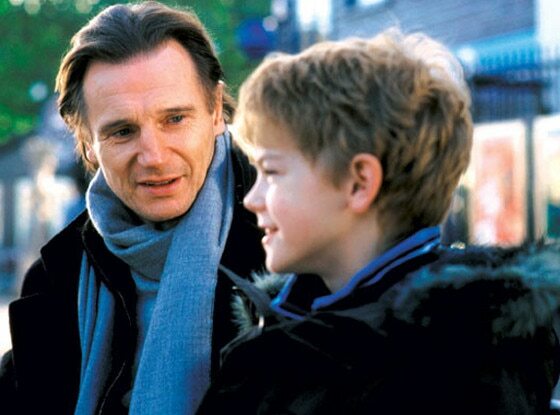 Watched the whole of ‘Love Actually’ without any interruption for the first time in January & really loved it! Love the characters, the script and the story.